Drinking Alcohol Before and After a Hair Transplant Procedure? I recently scheduled my hair transplant procedure and was told by the surgeon not to drink alcohol seven days before and several days after my procedure. Is this accurate? 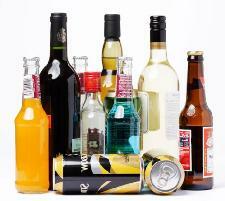 How does alcohol usage affect the hair transplantation process? Let me begin by stating that you should always follow the pre-operative and post-operative instructions provided by your hair restoration clinic. The operating surgeon has likely spent many years creating and adjusting his/her surgical instructions, and following the clinic’s advice will help prevent any potentially harmful mistakes. Because alcohol thins the blood and can interfere with anesthesia (though this is less of a concern in modern hair restoration surgery), your surgeon probably does not want you to drink before the procedure because of potential bleeding complications. Anecdotally, I’ve heard Anesthesiologists recommend that 2 days of zero alcohol consumption is enough time to clear the system, but, again, if your hair restoration surgeon said not to drink for seven days before the procedure, I would follow his/her instructions. Additionally, although alcohol is generally known for dilating (widening/allowing more flow) peripheral blood vessels, it’s actually been shown to constrict the flow of blood to areas like the head/scalp (though the instantaneous and changing patterns are difficult to comprehend), which is not advantageous to proper healing after a hair transplant procedure. Because of the dilation/constriction issues and the potential for excessive post-operative bleeding, most hair transplant surgeons recommend zero alcohol consumption for 3 days after the operation.